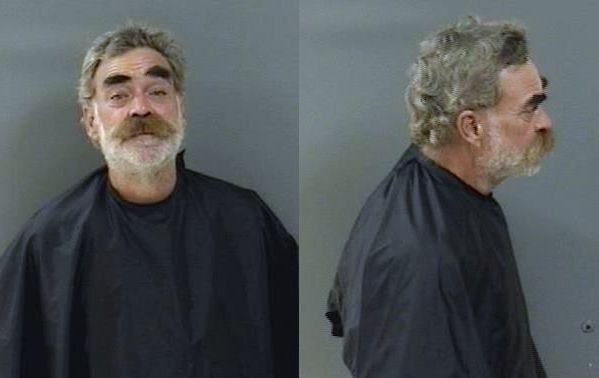 One man was arrested after chugging a bottle of vodka in front of police in Vero Beach, Florida. VERO BEACH – On Monday at approximately 11:55 a.m., law enforcement received a call about several men passed out drunk near the courthouse, according to the Vero Beach Police Department. Upon arrival, an officer found several men laying on the ground surrounded by beer cans in a parking lot, reports show. “I advised all to disperse and dump out any remaining alcohol,” the officer said. One of the men, identified as 54-year-old Marshall Edward Leslie, picked up a bottle of vodka and placed it in the basket on his bicycle, the report said. “I advised Leslie to dump the remaining contents on the ground, Leslie then stood in front of me and chugged the bottle,” the officer said. Police arrested Leslie for violating a City of Vero Beach ordinance of an open container. Leslie was transported to the Indian River County Jail where bond was set at $1,000.